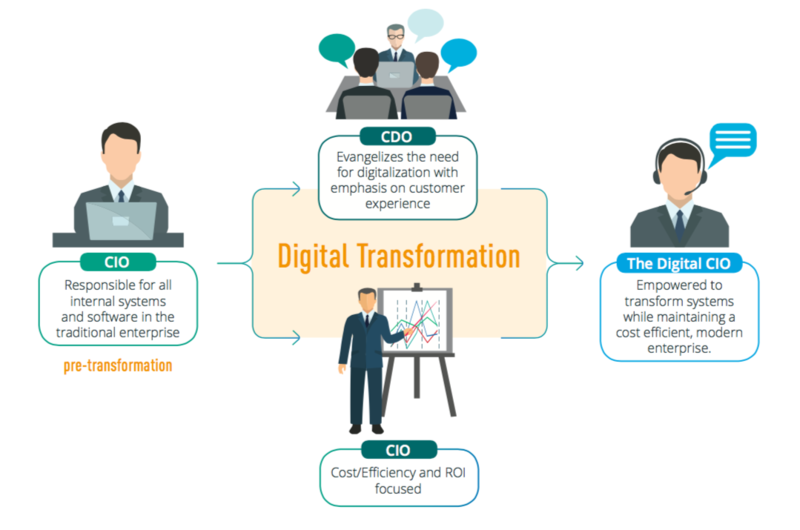 C-Level executives describe various approaches to commerce technology management in their digitally transforming enterprises. 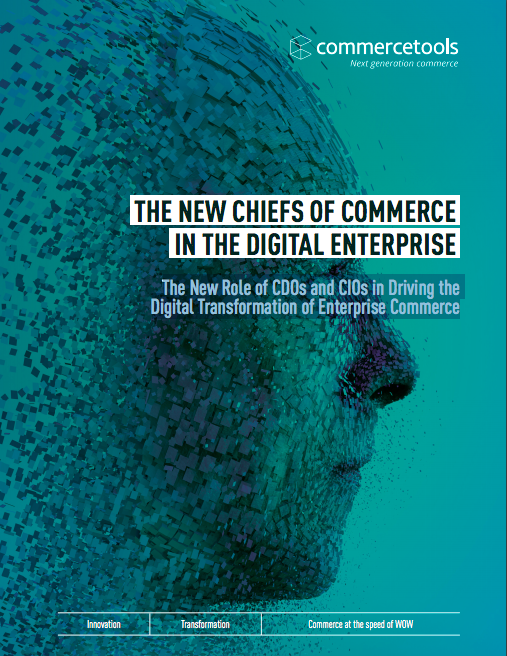 We recently interviewed CIOs (Chief Information Officers), CDOs (Chief Digital Officers), and VPs of Commerce in multi-billion dollar enterprises that were going through digital transformation. We wanted to learn how these companies organized themselves for commerce modernization in the post-web era and share our findings with companies thinking about how to innovate with commerce in the digital economy. We then validated our findings with major research firms Gartner and Forrester which each have published research on the changing roles of CIOs. We discovered that the person at the helm of digital transformation depends on the digital maturity of the organization (illustrated below).